Last week, Beck teased new track “Dreams” on social media, before revealing that it’d feature on an upcoming record, the follow-up to last year’s Grammy-winning “Morning Phase“. That track is now available . Whilst last years beautifully crafted album, Morning Phase was a timely remind that BECK can tug at the heart strings as well as any balladeer on the planet, if there’s one Beck doesn’t ever do, it’s the same thing twice in a row! So perhaps it should come as no surprise that his latest single, Dreams is a huge summer dance anthem! In an interview he said that “Dreams” “started out as a heavy garage rock thing and became much more of a dance — some other kind of hybrid.” He also revealed that the new album doesn’t have a name or a release date yet. Conan held a week-long tribute back in September to honor one of the world’s most famous and inspirational musicians,George Harrison to mark the arrival of The Apple Years 1968-75, an eight-disc release of George Harrison’s work. The first artist to give a nod to the legend was “Beck”, and his cover was so on point that the rest who stepped onstage that week never quite managed to top it. The genre-spanning giant is easy to recognize for both his gritty lo-fi production and lush acoustic numbers, but his rendition of “Wah Wah” fell snuggly between the two. The “All Things Must Pass” cut was a direct rock take that saw Beck cutting two minutes off the original version in favor of some extra tambourine action while still keeping things clean. Perhaps the best part was the subtle shift between key changes in the chorus. As per usual, Beck’s band backs him up with a blissful accuracy, nailing every layered part so well that it’s easy to think there’s a backing track playing behind them. Instead, it’s just a heartfelt tribute by one of today’s icons paying his respects to one of the past. I’ll admit, the one Beck album I put on more often is “Sea Change”, its the slowest and prettiest of all Beck records. 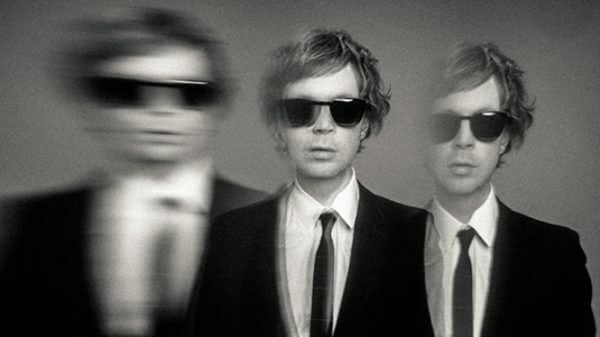 The same crew got together nearly a dozen years later to make this new album tilted “Morning Phase”, with orchestrations from Beck’s dad, David Campbell. This album that feels like its companion and may be my second-most-listened-to Beck record.